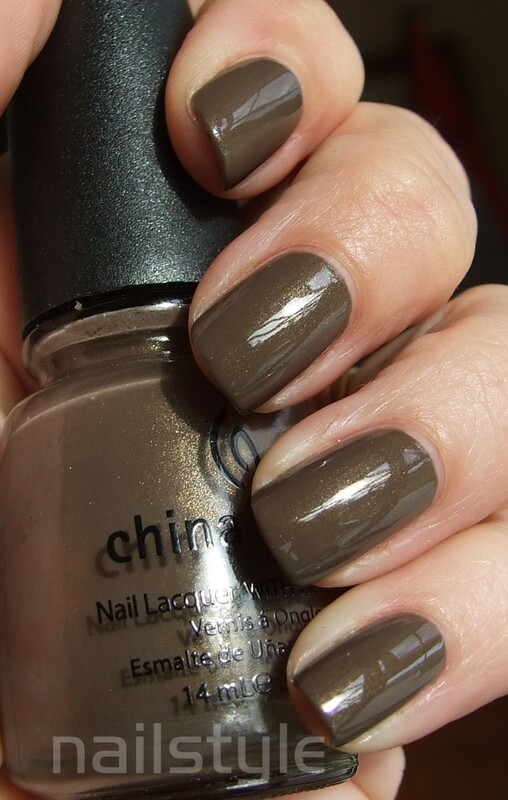 Even though Ingrid is a subtle, neutral golden taupe/mid brown (is that too many adjectives? lol), I would say that is one of my all time favourite polishes. I just love the way the gold micro shimmer catches in the sunlight. I could wear this every day, if only I could get over my compelling need to change my polish every five minutes! Ingrid has a lovely opaque formula and its probably just me, but I found this China Glaze brush very easy to use. Behold, the lovely Ingrid from the Vintage Vixen collection . . .
Oh wow, when I enlarged the photo, you can really see the awesome goldish shimmer in it! So awesome! My kind of polish! Micro shimmer is dangerous. I could stare at my nails all day long with that on. It's a beautiful color. I have this and love it!! Really Love it! This is my all-time favourite polish! Thanks for your comments.